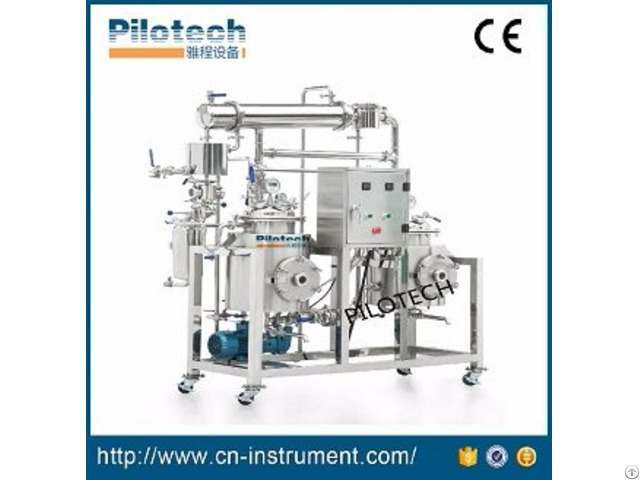 Developed upon studies of international similar products, Pilotech YC-050 Lab multi-functional extraction and concentration recovery unit can be used for extraction and concentration of Chinese medicinal herbs and natural products (water and organic solvents) and recovery of volatile aromatic oil with a concentration ratio of 1.1-1.38. 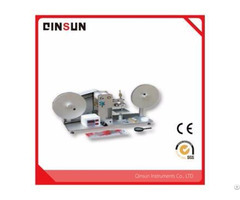 Equipment consists of extracting tank, reflux condenser, reflux cooler, aromatic oil collector, extractor filters, tubular heater, evaporator, recovery condenser, recovery cooler, collecting tank, stainless steel rack and connecting pipe valves, and meters, etc. 1) Small area coverage of 2-3m2. Works directly with water and power with a minimum inventory of 2KG and a maximum inventory of 10KG. 2) Extraction system is equipped with a reflux condenser, reflux cooler, oil-water separator that can recover aromatic oil in materials in an effective manner. 3) Circular heating of conduction oil (no pressure between lamination) and uniform heating. 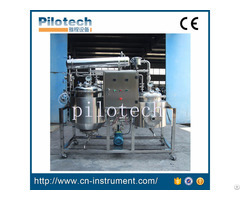 The heater is far away from the extraction tank which is more secure for organic solvent extraction and concentration. 4) Units are equipped with outer circular evaporating concentrator with a more concentrating efficiency, concentration ratio reaching 1.1 ~ 1.38. 5) Can be applied to water, alcohol and solvent extraction and serve as pilot plant testing equipment for natural herb extraction. Suitable for extraction and concentration of herbal liquid and tea and fruit juice and recovery of organic solvents in research institutions, universities, hospitals, pharmaceutical factory and food industry. 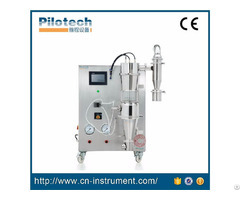 6) It combines multi-functional extraction, vacuum concentration and organic solvent recovery as a whole and simplify operations with functions of heat reflux circular extraction, concentration, conventional extraction, concentration, water sedimentation (alcohol sedimentation). 7) Unit parts contacting materials are made of stainless steel that works in negative pressure, ordinary pressure and positive pressure conditions. 8) Low temperature concentration ensures product quality. Dynamic circular evaporation increases heat transfer efficiency, provides an effective solution to decreased heat transfer efficiency with increased concentration, saves energy and improves efficiency. 9) Dregs leach through the digestion basket to greatly improve the working environment and efficiency.